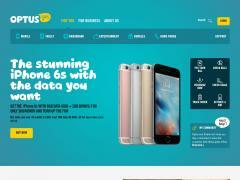 Optus.com.au historical owner info, name servers, Analytics ID, Adsense ID, Addthis ID, advertisers, screenshots, meta tags, whois, site and server info. Shop the latest mobile phones &amp; tablets. Find awesome value broadband internet, home phone &amp; TV entertainment packages at Optus. Learn more. Sites related to Optus.com.au based on metadata.